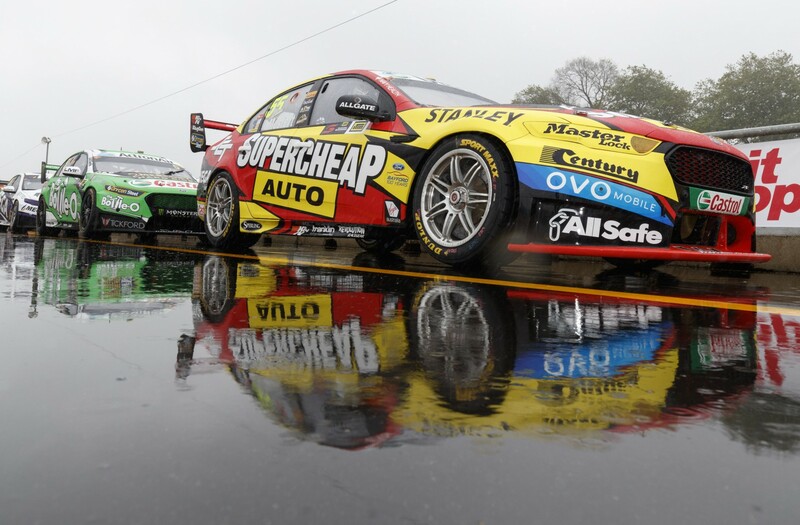 Tickford Racing team principal Tim Edwards says the model his Supercars squad will race in 2019 remains “TBA”, and that there is no clear timeline for any decision. That the Ford squad will switch to the Mustang platform after its current Falcon has been heavily speculated in recent years, given production of the family sedan ceased with the FG X in October 2016. The 2018 Virgin Australia Supercars Championship will be the fourth season with the FG X Falcon on the grid, and Edwards told Supercars.com that “there’s no change whatsoever” to its plans for a new body. “We are committed to race in the FG X in 2018, and 2019 is still a TBA,” Edwards said. “We may well still be racing the Falcon, but to be honest we’ve just completed three years of FG X, we raced the previous [FG] model before that for five years. “It’s not as though it’s uncompetitive as well, we’re trucking along alright with it. “At this stage the only thing I can confirm is we’re racing the FG X this year. The rest is TBA, no different to in the past. “Had the Falcon stayed in production, it would’ve had a five-year lifecycle anyway, so we would’ve still been racing it for ’18 and ’19. 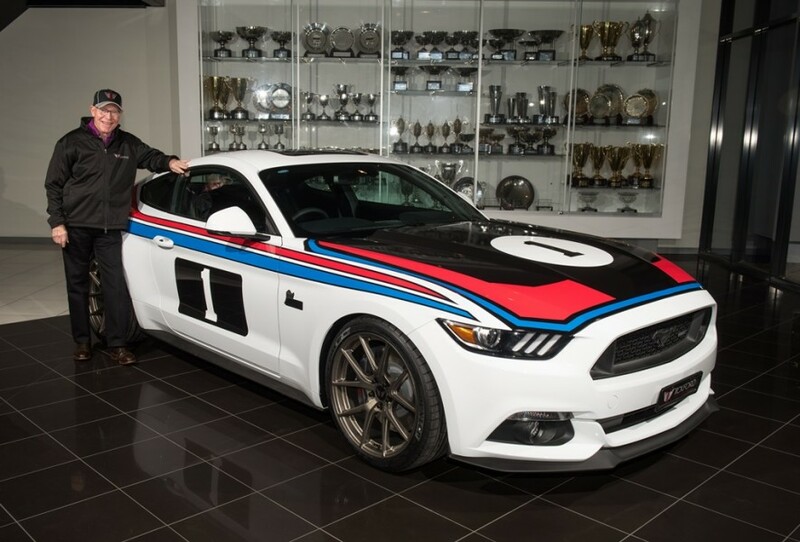 Tickford’s road car arm launched a limited-edition Mustang, above, late last year to mark the 40th anniversary of the Ford Dealer Team’s one-two finish at Bathurst in 1977 with Allan Moffat and Colin Bond. It also produces performance packs for the Mustang and Ford’s Ranger and Everest. Any shift to a new model such as the Mustang would require a fresh licensing deal with Ford in conjunction with Shell V-Power Racing, which has links to the manufacturer in the US through Team Penske’s NASCAR program. In the NASCAR Cup, Fords are entered as the mid-sized Fusion - known as the Mondeo outside of the Americas - and the Mustang in the second-tier Nationwide Series. Roger Penske stated last week, though, that frustrations over a lack of progress on the Supercars Mustang could prompt his squad to leave Ford in 2019. 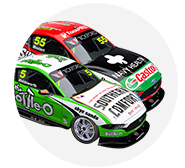 Ford ended its Supercars support at the end of the 2015 season, when Winterbottom won the title for what was then Ford Performance Racing. Asked if his team’s relationship with Ford had changed at all, Edwards said it was “no different from the last couple of years”. Edwards also outlined that there was no deadline within this year to have formalised plans for a model switch in 2019. “You always have these artificial dates that you put in the back of your head, you know, i.e. ‘you’d need to make a decision by X date’,” he said. “But when you look at what Erebus did [in 2012 when it purchased Ford squad Stone Brothers Racing], I think they signed with Mercedes around, what, October time wasn’t it? It was pretty late, and they still managed to get on the grid.